Thanks to advocacy by the Hadassah Medical Center’s Linda Joy Pollin Cardiovascular Wellness Center, women’s heart health took center stage in Israel’s Knesset, with a special hearing in its Committee for the Status of Women and General Equality. 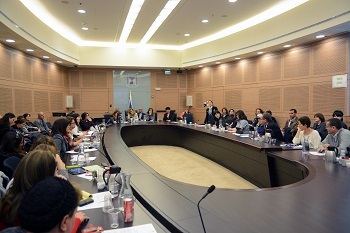 Following a compelling session in which experts and patients spoke passionately about the need for raising awareness about women’s heart health, Committee Chair MK Aliza Lavie charged the Ministry of Health to create a coalition immediately to advance awareness of women’s unique heart issues, both among women, as well as health care givers. “In the United States, since the “Go Red” initiative for women’s heart health in 1997,” related Dr. Donna Zfat-Zwas, Director of Hadassah’s Pollin Center, “the numbers of women dying from heart attacks has fallen. 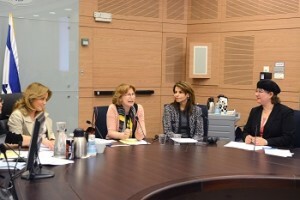 We are thrilled that the Knesset has demanded a nationwide campaign from the Ministry of Health. The Pollin Center has initiated community outreach programs in Haredi neighborhoods, as well as Arab localities, since Arab women are also at higher risk. Click to read more about the Pollin Center. Status of Women and General Equality.